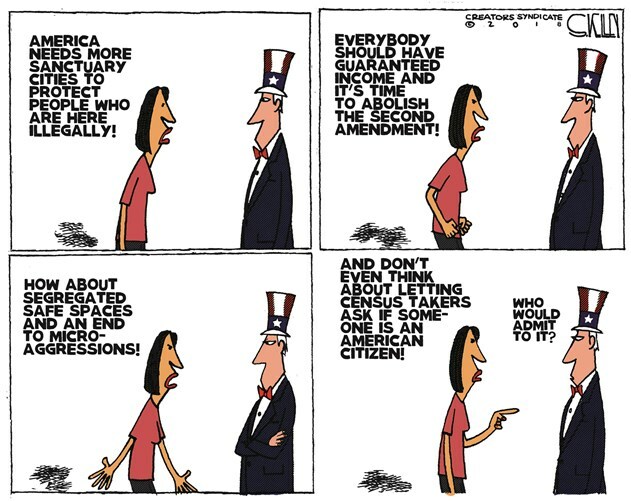 The left argues that people wont answer the census if a question about citizenship is asked. Hmm. I wonder if that means all the censuses from the 1960’s til 2010 (when Obama dropped the question) were terribly inaccurate. This is what I mean when I say being a journalist should not be something one goes to school specifically to study. All that is required is a querying mind, intellect, and the ability to properly write the language. I never hear a journalist ask the questions I do. Either they they lack intellect or curiosity. Either way,I don’t know what a journalism degree does for the country w/o those 2 things. Shoot the local papers here routinely are even full of spelling and grammatical errors. We’d end up with an incredibly low population if we did that.